The Civil War Exhibit was created by the Carnegie Museum and was housed in the Floyd County Historical Society/Padgett Museum from 2007 until 2018. The exhibit was dismanteled to make room for other exhibits and storage. The display focused mainly on the Indiana 38th Infantry Regiment. 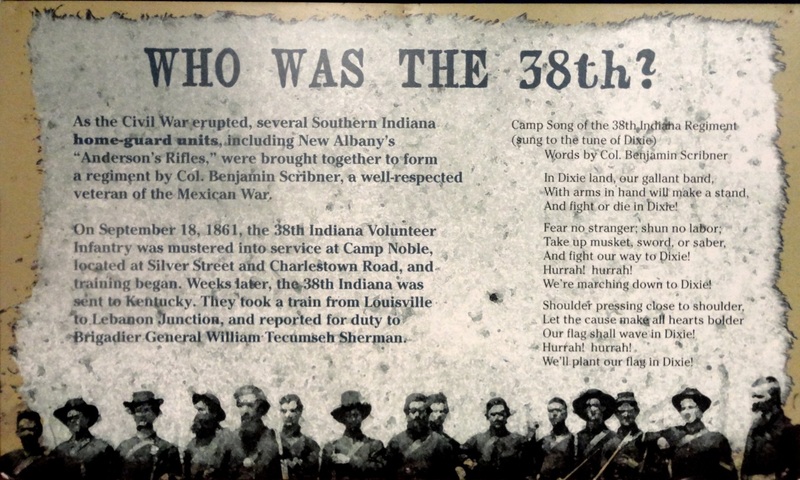 The 38th was composed of Southern Indiana men. Col. Ben Scribner, son of New Albany founder Abner Scribner, headed the regiment.